Anita Yousof set out on a year-long mission to travel around the world by bike and show people that Islam isn't the oppressive religion people believe. At first glance, Anita Yousof is a short little Malaysian lady with an infectious smile. The 49-year-old is a lecturer at a teacher's institute in the city of Cyberjaya, Selangor, Malaysia and a mother of two. You are, however, looking at the very first Muslim woman to have circumnavigated the world by motorcycle, on her own. Touring the world on a motorcycle—sounds like living a dream right? Dreaming it wasn't enough for Anita Yousof who decided to make that dream her reality. 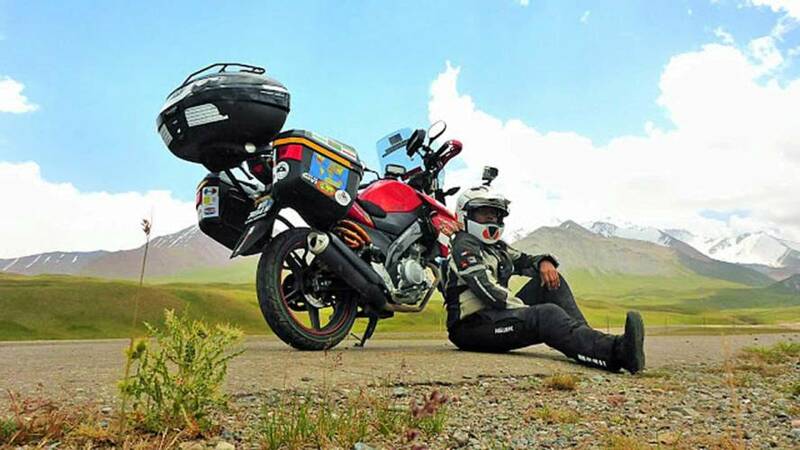 With RM 120,000 in her pockets (roughly US$ 30,000), she packed a Yamaha FZ150 and left on a 370-day, 40,000-mile journey across the globe. On September 13th, 2015, she embarked on her "Global Dream Ride" that took her through over 30 countries including Peru, Spain, Andorra, United States, and Canada while spanning four continents. Besides taking the trip of a lifetime, Anita had a few goals in mind. She was hoping to be entered into the Malaysian Guinness World Record book as the first woman to travel around the world solo on a bike. She definitely succeeded at that task. She also received a title for the longest solo motorcycle ride around the world in the Asia Book of Records. There was also a more humble mission behind her journey: break the stereotypes surrounding solo female travelers, as well as the stigma surrounding Muslim women and how Islam is a religion that represses women. I might never look at a 150cc bike the same way again. "Some people I met even apologized to me for being prejudiced against Islam and Muslims. In fact, a non-Muslim woman also wanted to buy and read a book about Islam,” Anita told MalayMail. She documented the entire adventure on her personal blog, parts of which where also shared in a dedicated section of the Givi website. Anita returned home to Malaysia on September 16th, 2016, welcomed by her two sons as she rolled into the city of Bukit Kayu Hitam. 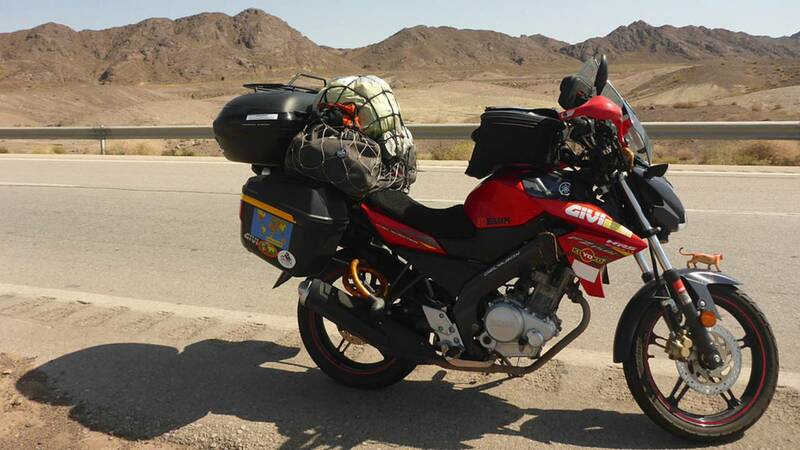 Almost two years after completing her epic, Anita has been busy with her duties as a Givi brand ambassador. She also keeps on traveling on her faithful FZ150, and now counts 54 countries to her travel book, and counting. She also came out with a book about her year-long journey. You can either dream the dream or live it!